Russell Bedford KTC ("RBK"), a professional firm, is committed to providing high quality service to our clients. At RBK, we are focusing on providing high value added services which bring to our client practical and cost-effective solutions to their business issues. Quality control is the most important process in our business, which makes us different. We serve small and medium foreign invested enterprises, representative offices and not-for-profit organisations in Vietnam. 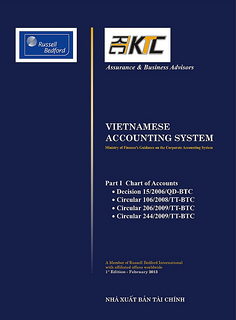 Vietnamese joint stock companies are growing in size and complexity and becoming our important clients.